RFF's Roger Sedjo and his colleagues discuss initiatives designed to promote and enhance sustainable forestry in temperate countries. While concerns about tropical deforestation are considerable, temperate forests account for the vast majority of the world's roundwood production and most global trade in wood and paper. Improving forest sustainability in such regions is imperative, economically and environmentally. This book illustrates how far nations have progressed, and how far they still need to go, in that effort. 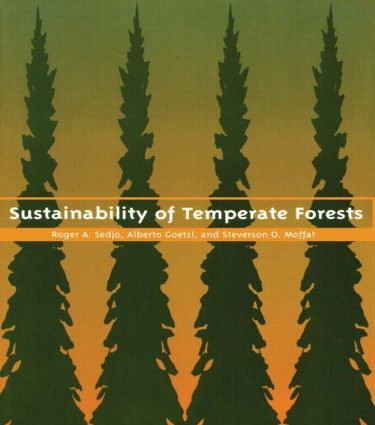 The authors describe how temperate nations address forest sustainability, discussing recent developments affecting forestry and trade. Their compilation of international data on forest practices and regulation provides a useful comparative perspective. They analyze the effect of institutional changes (e.g., new laws) on land management. The volume assesses how national forestry industries are adapting to new laws and policies in the face of new realities in production and markets, particularly in the context of international trade and global competition. Country profiles provide details on sustainability policy and performance in eight timber-exporting or major wood-using temperate nations: the United States, Canada, Finland, Sweden, Germany, France, New Zealand, and Chile. The authors also assess how each nation would be affected by the application of various criteria for sustainability.